The fortified mountain palace of Machaerus is infamous as the place where Salome danced for the head of John the Baptist, whom her step father Herod Antipas had imprisoned there for two years. 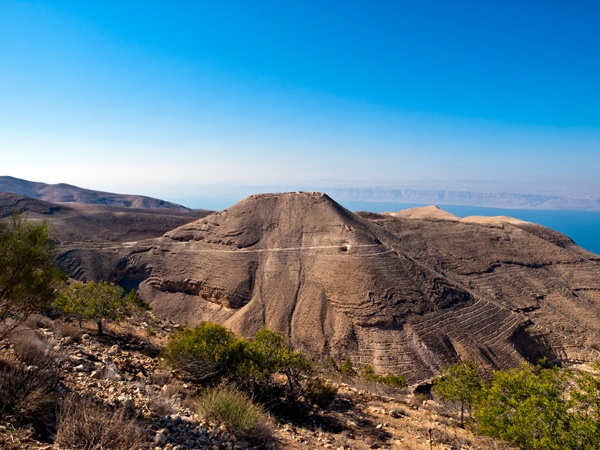 Machaerus is one of three fortified desert retreats built by Herod the Great (father to Herod Antipas); the others being Masada and Herodium. It’s the only one east of the Jordan river, today in the country of Jordan, 40km south of Madaba, near the village of Mukawir. The stronghold at Machaerus was first built by the Maccabees, the Jewish dynasty that ruled the region for about 100 years before the Roman client-King Herod the Great launched his dynasty in 37 BCE. 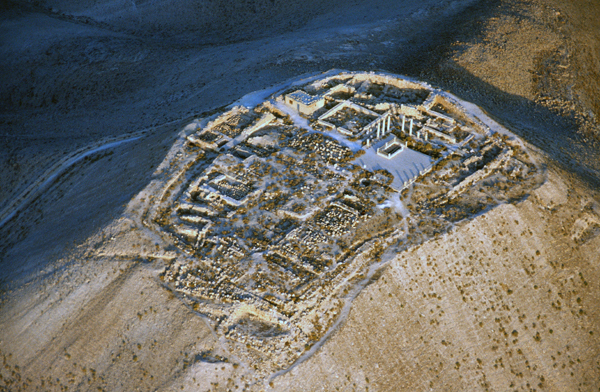 Machaerus was destroyed by the Romans in 57 BCE and restored by Herod around 30 BCE. There’s little excavation and restoration and no signage at Machaerus, so bring your imagination and a guide. Aside from the historical context, the serene atmosphere and 180-degree views of the Dead Sea and rugged, deeply etched desert are well worth the climb, especially at sunset. The walk from the parking area to the top looks more daunting than it is. A moderately fit person can do it in 15-20 minutes. Wear sturdy walking shoes, carry water and avoid midday heat. This entry was posted in Bible stories, Jordan by yalla2013. Bookmark the permalink.